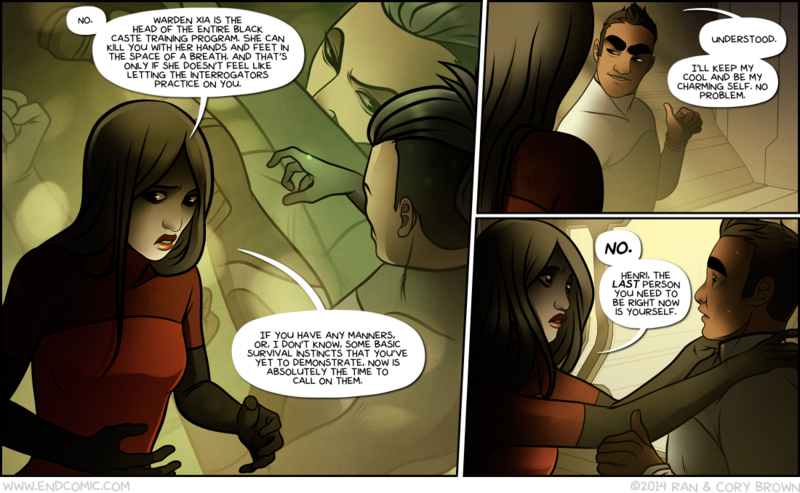 I just updated the old pages from chapter seven and they look great! You can start reading them here. The cover, which is also super nice and features Ethma’s human suit and Gorth is now available as a wallpaper in the public wallpaper folder with all the other chapter covers. You can see a preview and get the download link here. 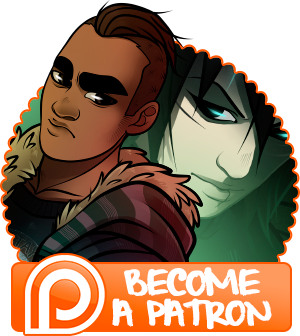 I also posted the inked versions of chapter 15 pages 9 to 15 up for patrons, and these ones are starting to get particularly spoilery because they are Raine/Noh/Lon’s backstory, if you want to peek ahead. Last but not least, voting is open for August’s wallpaper! Currently in the running are Noh (again), Axca (the Fiah, not the ship) and Endi!